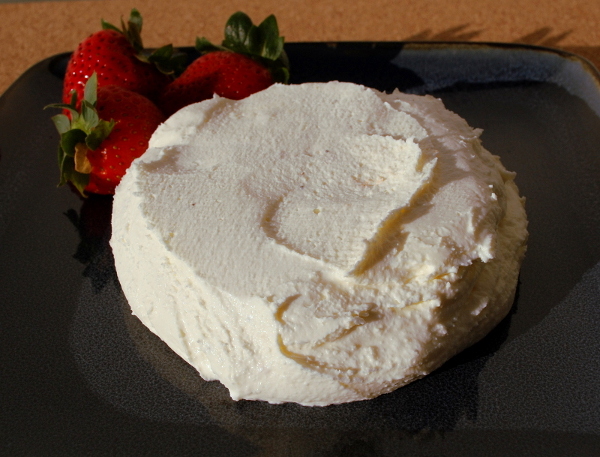 Mascarpone is an Italian cheese that is a mix between whip cream and cream cheese. It’s delicious and easy to make, as I learned recently when I made my own. Most cheese takes special ingredients like Themo B powdered thermophilic starter culture. Mascarpone, on the other hand, uses cream, lemon, and powdered milk, like the kind I used in the DIY Hot Chocolate recipe. 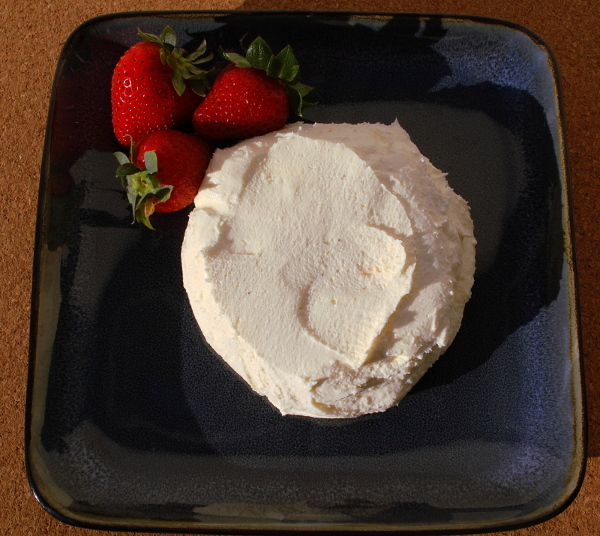 The mascarpone recipe I used was from Artisan Cheese Making at Home by Mary Karlin. The book is kind of fussy so I wasn’t sure what to think of the recipe. Because it uses an entire lemon, I thought the cheese would taste like lemon, but it was like mascarpone is supposed to be: creamy and cheesy, begging you to use it in desserts or any number of Italian dishes. Mascarpone is expensive, about $5.99 for an 8 oz container. This cheese cost me $3, so I’ll probably be making it from here on out. Whisk the cream and powdered milk togehter in a nonreactive saucepan. When it reaches 180 degrees, turn off the heat. Squeeze half the juice into the cream. Stir until the cream coagulates. When that happens, it will thicken and stick to the spoon. You will start to see flecks of solids in the cream. Add the rest of the juice to the cream and stir. Cover, let sit overnight (8 hours) in the fridge. I actually forgot mine for 24 hours and it was fine. When you look again, you should have somehing resembling mascarpone. If you still see liquid, transfer to a collander lined with a cheesecloth. Twist and squeeze the ball to get out the excess whey. And then, the cheese is done! Eat within a few days, and enjoy.